An incredibly versatile style, Goddess braids are like cornrows, but thicker and more pronounced, and can be done with natural hair or with the help of extensions. 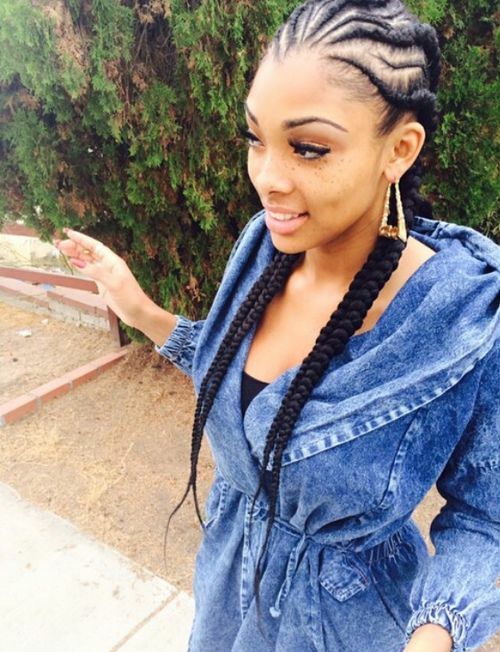 Classy and feminine, once your hair is in these braids you don’t have to worry about your style. 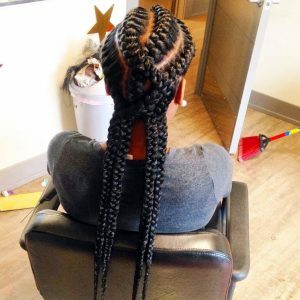 Take care of these braids by wrapping your head with a silk scarf at night and moisturizing with a braid spray, and you’ll be able to keep the style for two weeks or more. Here’s our list of 30 beautiful African goddess braids styles. If you’re getting goddess braids hairstyle for your wedding or another special occasion, this style will keep you looking sophisticated all throughout the event. Perfect for an outdoor wedding where wind may be a factor, you can dress it up even more by pinning flowers or jewelry to these chic buns. Simple and pretty, this style gives off youthful vibes, but looks great on women of any age. 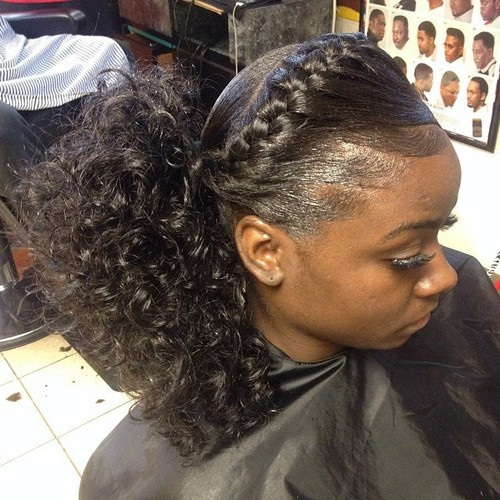 Wear with all natural hair, or use extensions for added length and volume. Perfect for staying on trend while hitting the gym, or dancing the night away. 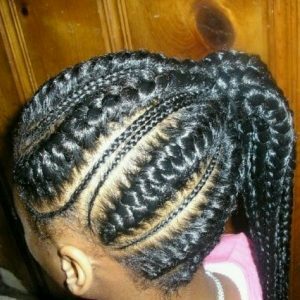 If you want to switch things up, try finishing these braids fishtail style. 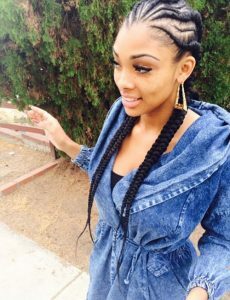 This braid runs right across the forehead, creating the same face-framing benefits you get with bangs, but in a much more durable style. 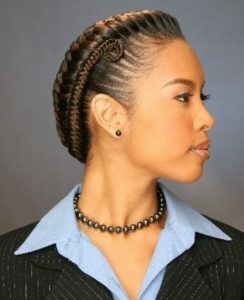 This is a versatile braided look for women of all ages, and is a great option for classy, black tie affairs. 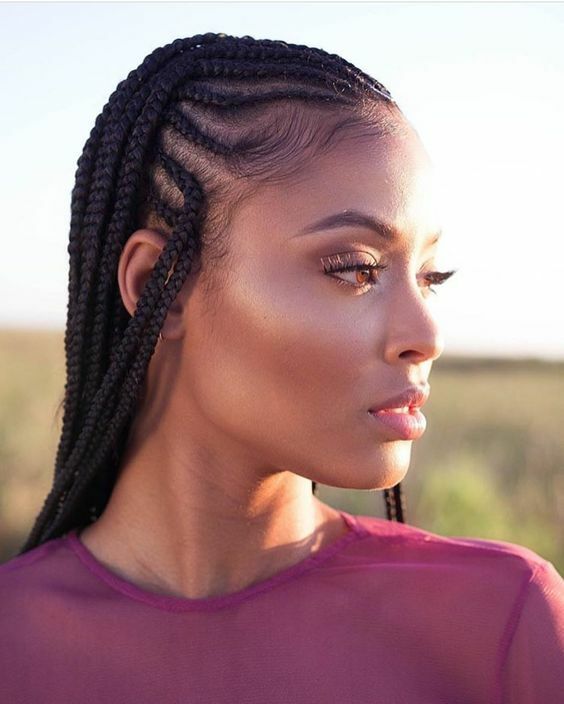 For an extra pop of color, this look weaves blonde extensions in with natural hair for long braids that’ll help you get in on the nostalgic 90s trend. Pair with stonewashed denim and an oversized flannel shirt to complete your throwback style. 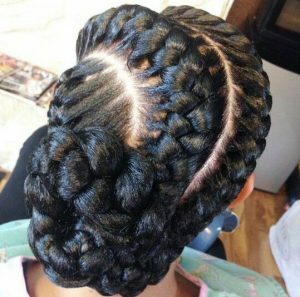 Braiding technique at it’s best, this style features Goddess locs that start on each side of the head and wrap around to the other side, and a perfectly curled tendril is a unique detail that serves as a nice finishing touch. This braided style could be your day-to-day look, but would also be stunning on a bride wearing antique jewelry and an empire waisted gown. 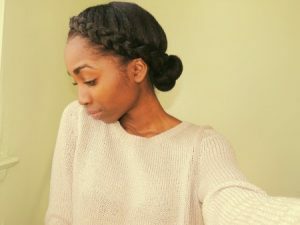 One of the simplest yet most sophisticated looking goddess braids, this chunky crown braid is a protective style that will keep your hair in place while giving it a break from heat styling. 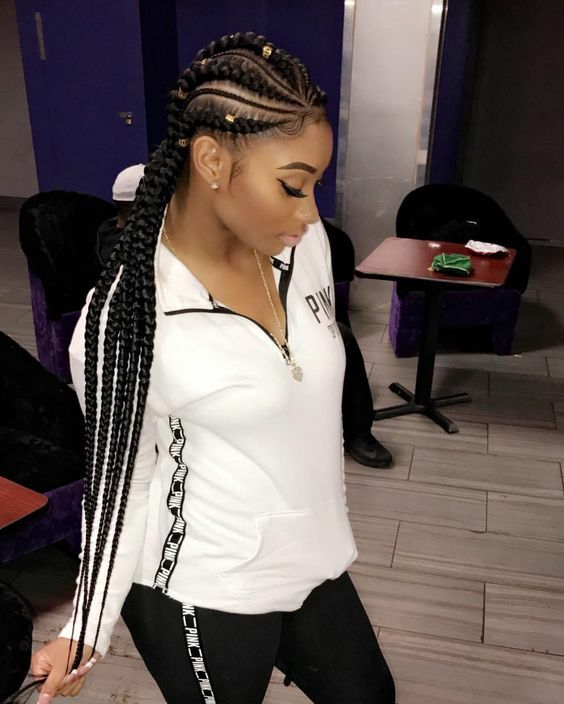 Another example of using extensions to make your braid pop, this style stands out from your average braid with the help of a bright fuchsia shade. As if this wasn’t glam enough, an ultra trendy head chain caps off the style like a crown for a modern queen. The perfect style for women who want to let their face be the star of the show, this sleek crown braid keeps a fairly low profile, making it ideal for everyone from low-key brides to busy professionals. 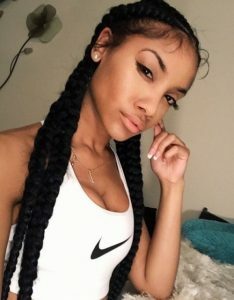 These goddess braids style form a high, side ponytail thanks to the help of extensions, and are a great everyday style for young women. This version features one red braid for a pop of color, but there are an infinite number of color combinations you could choose. If you’re after a super sporty look, quadruple goddess locs are it. If you’ve got an active lifestyle, these braids will keep hair secure and out of your face all day long. 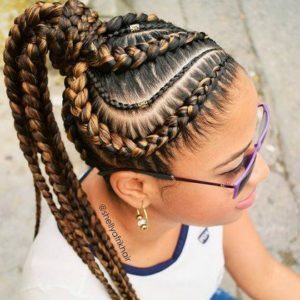 From a style perspective, these braids look perfect with old school Adidas track suits or anything in the vintage sportswear trend. These Goddess braided headbands are a great choice for women who love goddess braids but don’t want a head full of them. Pull the rest of your hair into a low bun for a sophisticated look that calls on ancient Greek goddesses for inspiration. 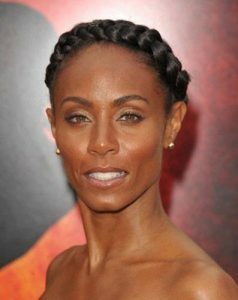 The fine, shorter hairs that grow right along the hairline can be a nuisance to some, but style inspiration to others. If you’re tired of using pins and product to fight with baby hair, consider letting them go free! These quadruple goddess braids get a touch of softness with tendrils of natural baby hair around the face. This chunky braid is set a few inches back from the hairline, nicely framing a high bun without taking attention away from your face. 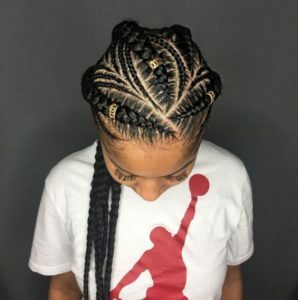 Featuring goddess braids hairstyles that cover the head, this style uses extra long extensions for a Rapunzel-inspired ponytail that’s got a mixture of braided and loose hair. Perfect for fulfilling your fairy tale fantasies while keeping hair out of your face, just be mindful that hair this long requires extra upkeep to avoid matting. 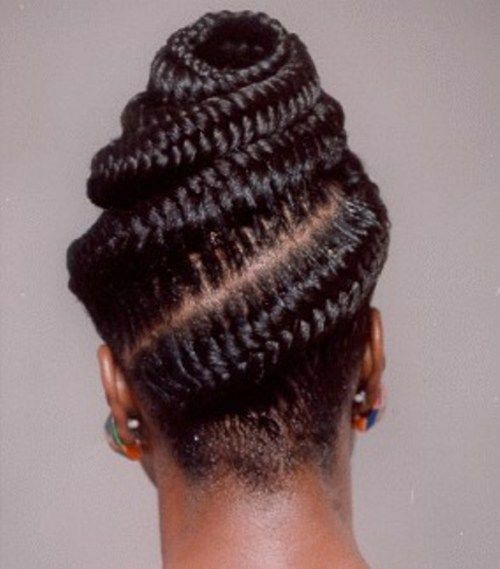 Elegant and versatile, this goddess braided locs version of the classic twisted bun is a sophisticated style for women of any age. 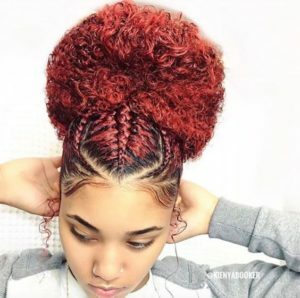 Young women could choose to punch it up with colored extensions for prom, or play up the flower shape by including a real flower in the centre of the bun. If your style is too in-your-face glam for an understated low bun, try this braided top knot with tons of height. 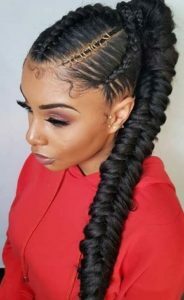 Beyond looking fabulous, this hairstyle will elongate your neck, and pairs especially well with high neckline tops and dresses. 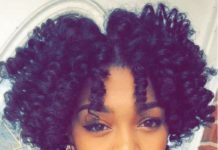 A perfect, simple style to keep natural hair in place while giving it a break from tighter braided styles that can pull and damage hair. 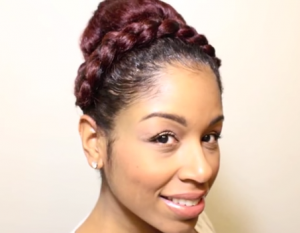 Braid along the hairline from either side of your part, and finish by twisting hair into a simple bun. 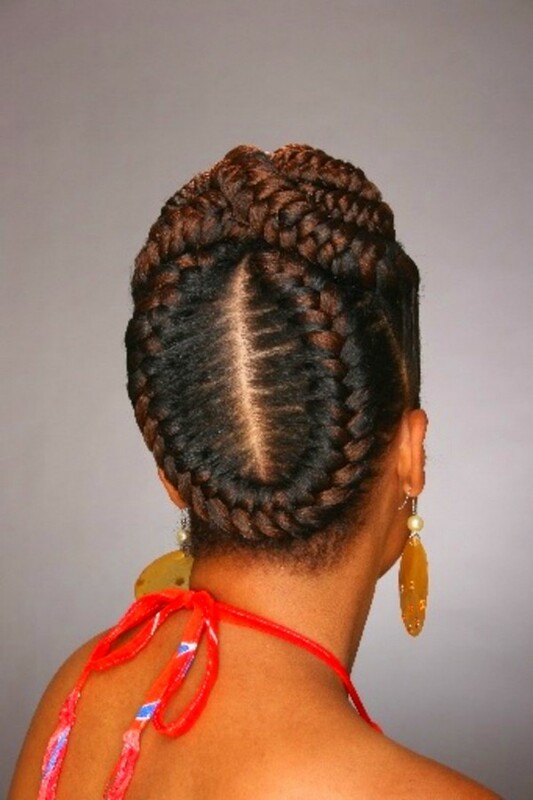 Two extra thick goddess braids circle the head for a perfect halo effect. 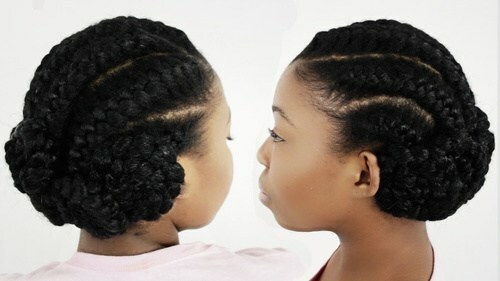 These 2 goddess braids are chunky and have tons of volume, for a look that’s regal and elegant. This spiral goddess braid is a technical achievement in braiding and has the ultra glamorous feel of a beehive style. 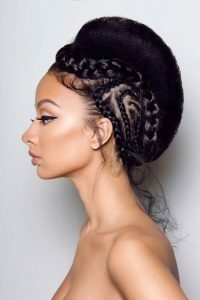 High goddess braids hairstyles like this give an illusion of added height, and keeping hair off of your face draws attention to facial features along with statement earrings or necklaces. 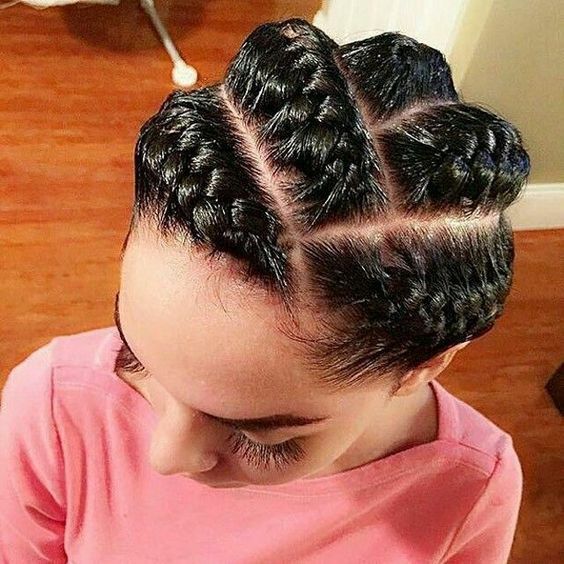 Not your everyday style, this braided look combines a wrap around goddess braid with thinner braids on the sides, all framing a crest of puffed up hair. Loose wispy tendrils falling from the nape of the neck add a touch of softness to this high fashion look. 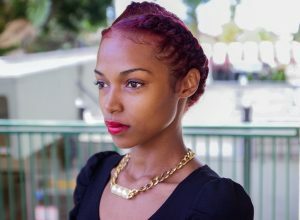 A playful goddess locs look for young women, this braid runs over the top of the head, finishing in a side ponytail full of curls. You can finish this style with a natural ponytail or use a hair piece to add length and volume. 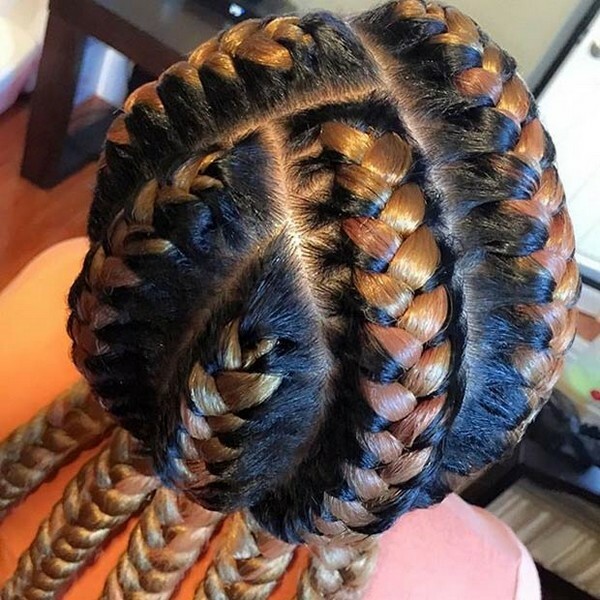 Featuring one braid on each side of the head and another running down the back to create a perfect crown. This sophisticated style contrasts beautifully with vibrantly colored hair, but will just as regal on women with natural shades. 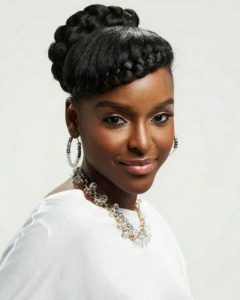 A sweet and simple style for natural hair, this single goddess braid runs along the hairline and back into a ponytail. Great for busy weeks at school or work when your hair is the last thing you want to be fussing over. An interesting twist with added visual appeal, this goddess style features braids that start near each other while being braided in different directions. 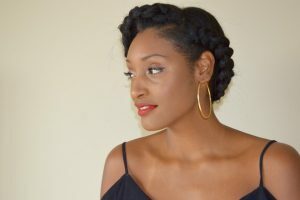 You can implement this technique in a variety of braided styles to keep things from feeling stale, and to save hair from always being pulled in the same direction. 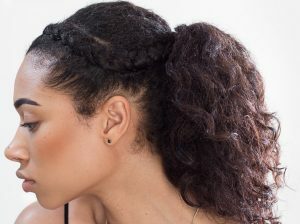 For little twist on the goddess braid ponytail, this style features skinny braids framing each the thicker goddess braid. This is a fun look for younger girls, and varies the hair’s texture for added visual appeal. 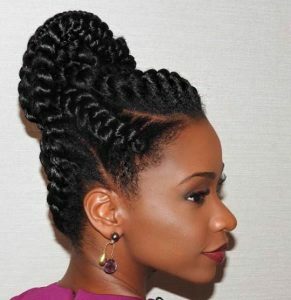 Putting a unique spin on a goddess braided updo, this style features braids on top that criss cross over one another, and a ring shaped braid at the back of the head. Wear this as your everyday hair that makes a statement, or adorn with flowers for an unforgettable wedding day style. 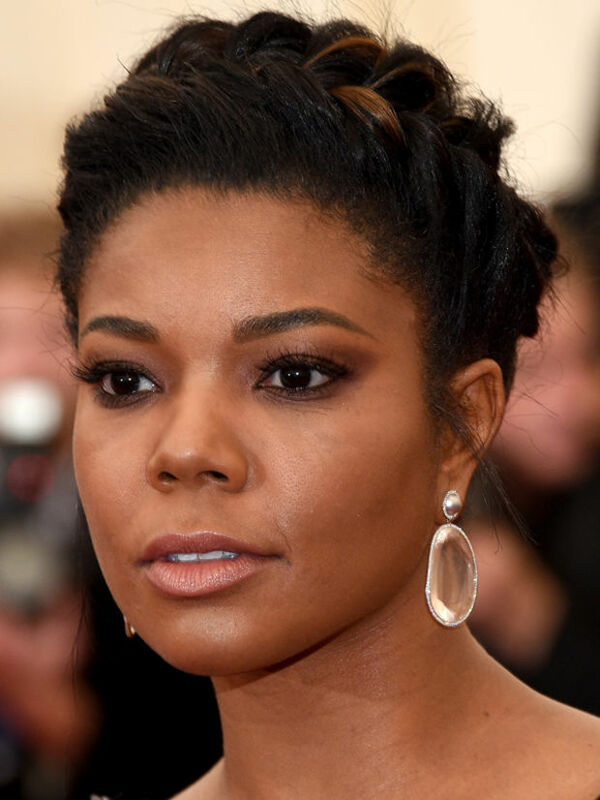 A woman who’s style is always on point, Gabrielle Union kept it sophisticated and simple for this Met Gala appearance. Hints of copper add a dash of color to a refined and regal look. 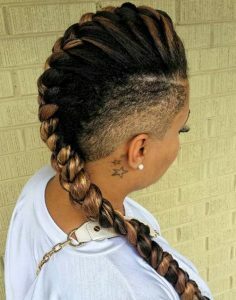 Undercut styles are a huge of-the-moment trend, and work well with a wide variety of hair lengths and textures. 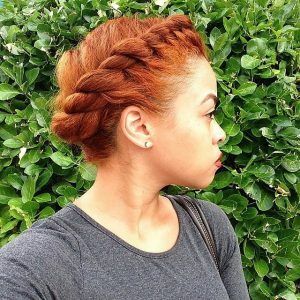 Perfect for showing off your fresh undercut, this thick goddess braid gets lots of height for a faux mohawk style that’s right in step with 2016’s edgiest trend. 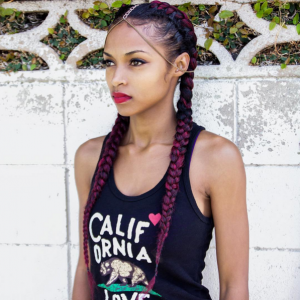 Punch up your long goddess braids with this fun, overlapping style. 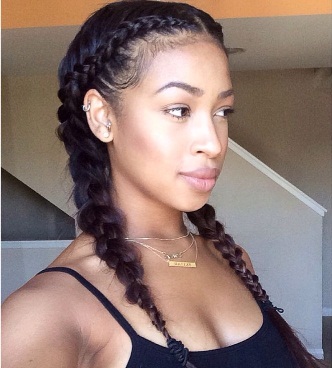 Extensions make these braids trail extra long down the back, but you can overlap braids of any length. Goddess braids get intermixed with cornrows for a trendy style with varied texture. 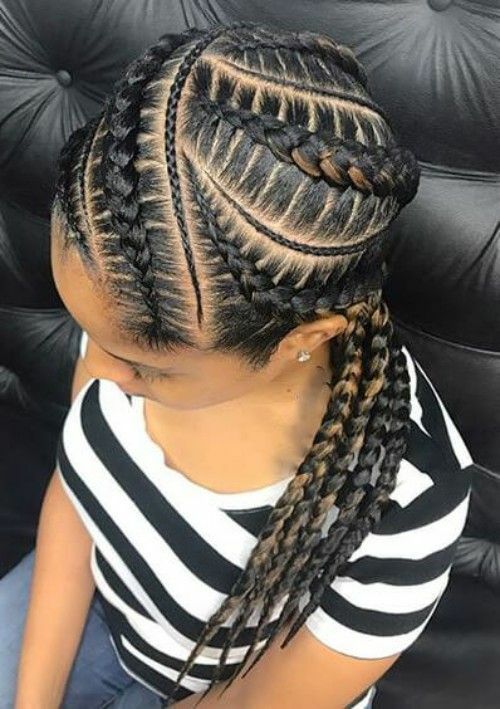 The slight wave in the braiding pattern makes for a more fluid look than braids that run perfectly parallel to each other. Wow! This style sure stands out! 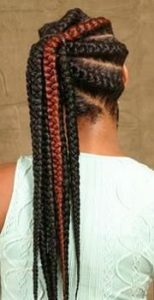 The red hair is pulled back into a high curly bunwith 2 thin braids on the sides and one big braided section in the middle. 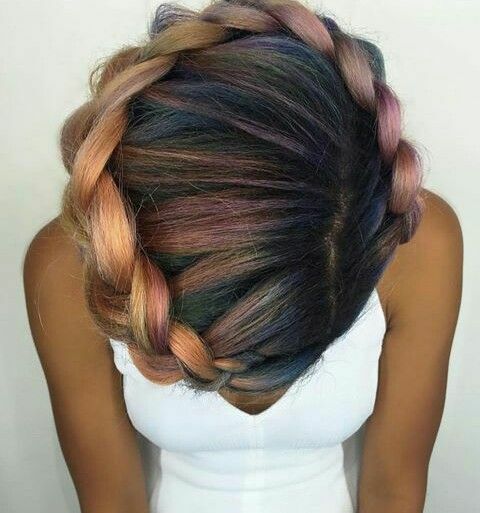 We love this colorful halo Goddess braid style! This style is great for wedding and special occasions. To achieve this rainbow-like color, she did the oil sleek color technique. These sleek shades highlight her beautiful skin color. 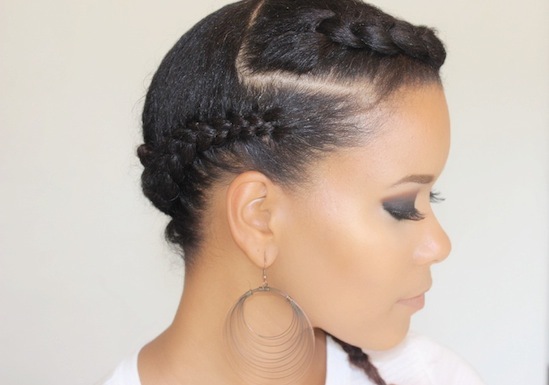 A very chic variation of goddess braids with both thick and super thin cornrows. The golden beads and jewelry add so much to the overall look! This gorgeous double braid updo is super elegant and great for special events or summer vacation. If you like to have a 2 goddess braids style, this one is easy to do and looks great for any occasion. These long goddess braids are absolutely stunning and elegant. The baby hair and natural makeup create a super chic and elegant look! Yes Please! A great protective style, this five-part Cornrow style Goddess braids is super chic. If you want to show off your beautiful facial features, try this gorgeous low maintenance style. 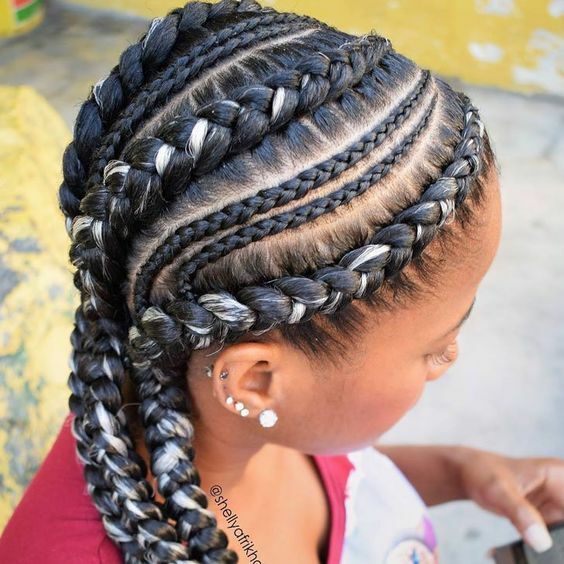 How gorgeous are these braids! 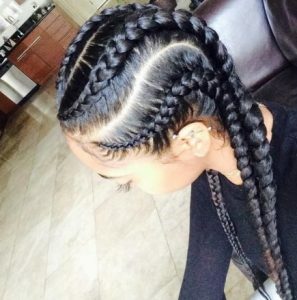 The hair is beautifully braided close to the scalp and then loosens to one or both sides. 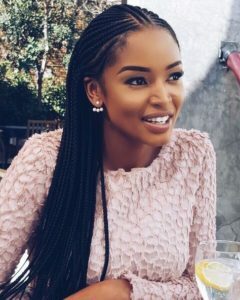 You can achieve this look either on your own natural hair or with the use of extensions. This style features a beautiful mix of thin and thick curved goddess braids with a few beads. Jazz up your goddess braids with bright highlights such as silver or white. 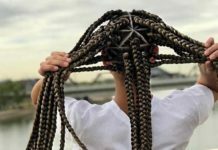 This will give richness and multidimensions to your braids. This sophisticated asymmetrical style features angled goddess that swirl around the head and pulled back into a high ponytail. Another curved style with tick and super thin braids attached to the scalp and cornrows that hang down in the back. Spice up your goddess braids with hair jewelry and edges of baby hair. These would make a super chic and stylish accent t your look. 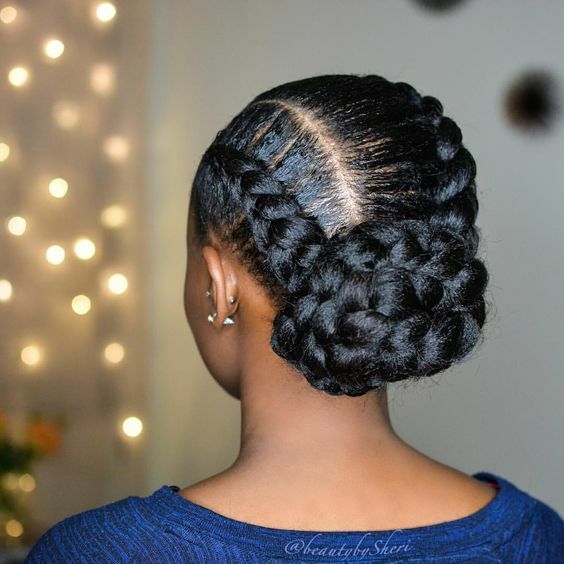 These braids are wraped into a low bun, creating an elegant look for a wedding or a night out.